Because everything tastes better on a stick, I created these adorable Lolli-Pop Tarts! Flaky pie crust filled with sweet strawberry jelly, all finished off with a layer of pink glaze and sprinkles. You can make these with store bought pie crust and jelly, or make your own pastry and filling from scratch. 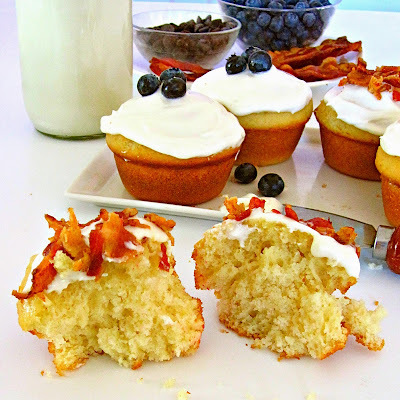 Either way, these little cuties are perfect for parties, or skip the stick for a great breakfast or after school snack! Roll out your pie crust and cut ~1 3/4"x2 1/4" rectangles (you can make larger, traditional sized Pop Tarts as well and omit the lollipop stick) use ruler and pizza cutter for more uniform pieces. I used ready made pie crust but you can certainly make your own using my recipe here! Place pie crust pieces on baking sheet and put a lollipop stick on center of each rectangle. Top with a dollop of filling, making sure it doesn't get too close to the edge. Brush the edges with a beaten egg (which acts as a "glue") and gently lay a second rectangle over the filling. Press the edges down with a fork to seal your Pop Tarts. You can now brush egg over the whole top if you want an extra flaky crust. Then bake and you're ready to glaze! To create glaze, simply stir together the powdered sugar with water and it's ready. 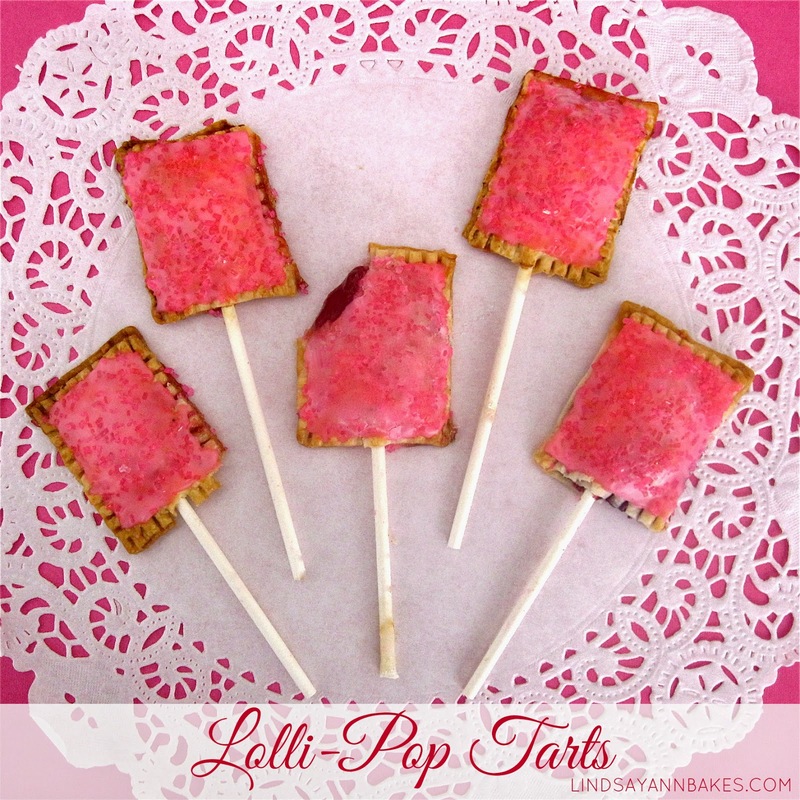 Add coloring or flavoring if desired and spoon onto tops of lolli-pop tarts. Add sprinkles while glaze is still wet. You can have fun with this part and make any sort of color combination you want. I made a batch of strawberry and topped them with pink glaze and sprinkles. Try coordinating your glaze color with a variety of fillings just like traditional Pop Tarts. You can even use cookie cutters to cut fun shapes!